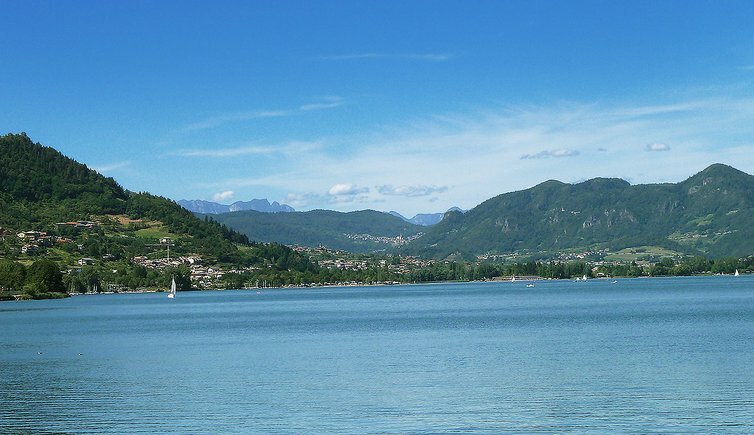 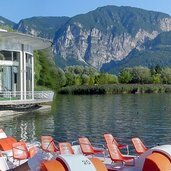 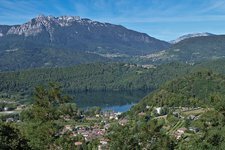 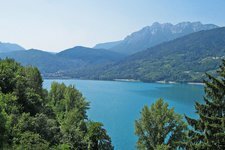 Lake Caldonazzo and Lake Levico with their crystal-clear waters promise peace and recreation as well as sports and lots of action on both the water and ashore. 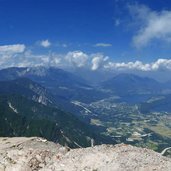 Live webcam View from the Monte Panarotta. 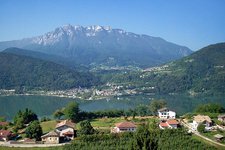 See panorama Panoramic view of Lake Levico whose unique shape resembles the fjords in northern latitudes. 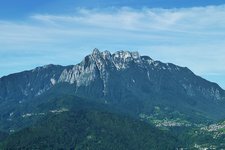 See panorama Sight from Fort Cima Vezzena ruins (Piz di Levico peak) to Valsugana valley and Vezzena pastures. 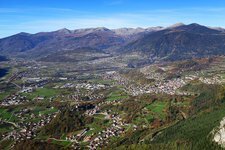 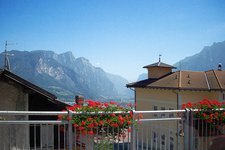 See panorama Sight from Monte Slimber peak to Valle dei Mocheni valley and Lagorai mountain chain. 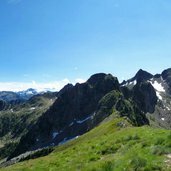 Worth mentioning are also the glacial lakes and the numerous rivers and becks winding throughout the area. 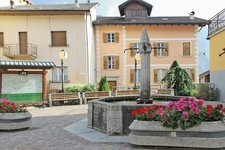 Here originate the therapeutic mineral springs that made the spas of Vetriolo and Levico famous all over Europe. 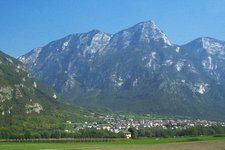 The main town of the Valsugana Valley is Bassano. 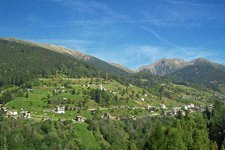 The Lagorai Mountain Range separates the valley from the Val di Fiemme but Passo Manghen, Passo Rolle and the Cermis Cable Car connect it with the surrounding regions. 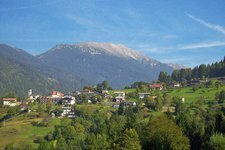 The valley’s mountain world boasts an untouched natural scenery and is thus a true paradise for cross-country skiers and alpinists. 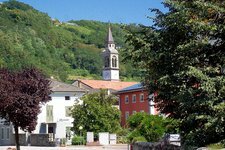 Carzano is above all famous for the war-related events called “Sogno di Carzano“. 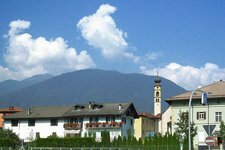 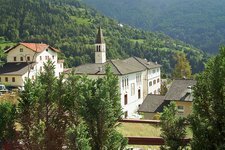 Castel Ivano, a widely scattered municipality in the Valsugana, is located at 500 m a.s.l. 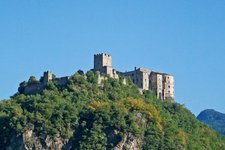 Cinto Tesino has got some 400 inhabitants and is located at the foot of the Monte Mezza. 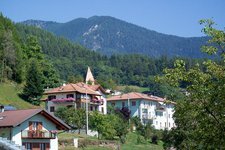 Fierozzo extends in the Valle dei Mocheni and offers a variety of leisure time activities. 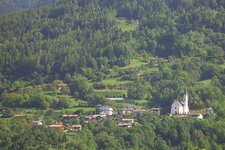 Samone is surrounded by chestnut forests and fruit orchards. 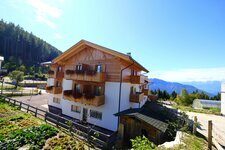 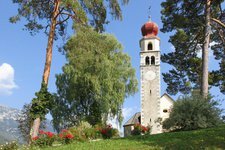 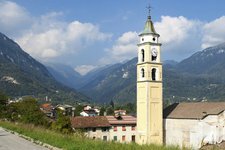 Telve di Sopra is an ideal starting point for hikes and excursions. 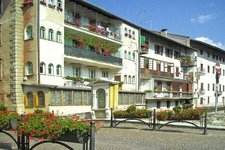 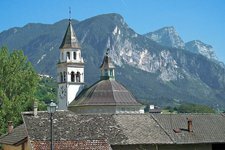 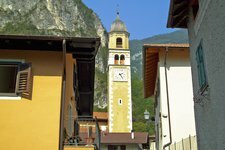 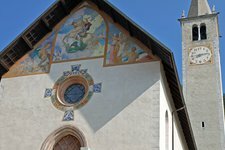 Vignola-Falesina is one of the smallest mountain villages of the Trentino.